Words by Kevin Doocey on February 5, 2009 . 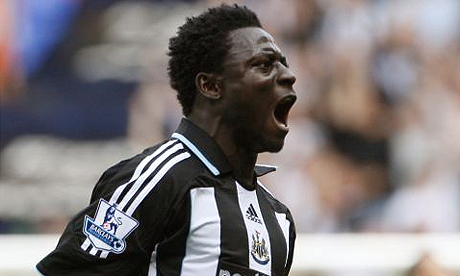 Good news on to Toon today as Martins, Viduka and Smith are all in the squad for the away trip to West Brom on Saturday. It is a much needed boost following this January’s transfer window and the fact we could’ve and should’ve signed more players. West Brom as it’s known are in a dog fight too and are conveniently placed bottom of the league, The Hawthorn’s is not a very easy place to come away with 3 points from as the richest club in the world, City have learnt. Martins, who we all know can create something out of nothing will be vital for the rest of the season, and even on Saturday if his call beckons. Viduka on the other hand has some goals in him too and the least he can do for us paying him £60,000 a week is to score 10-15 goals till the end of the season 😀 Somehow I doubt that will happen. As for Smith well he’s a battler and they are exactly the type of player we need for this fight. Whether he’ll play up front or in midfield is another thing but we sure could use some of his goals like he scored at Leeds United! West Brom is a big game, and the best possible result is 3 points and no injuries. No too much to ask is it?